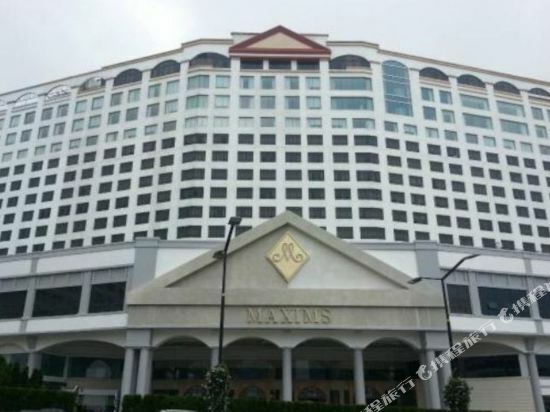 Grand Ion Delemen Hotel Genting Highlands located at Genting Highlands. Hotel offers strategic location and easy access to the lively city has to offer. 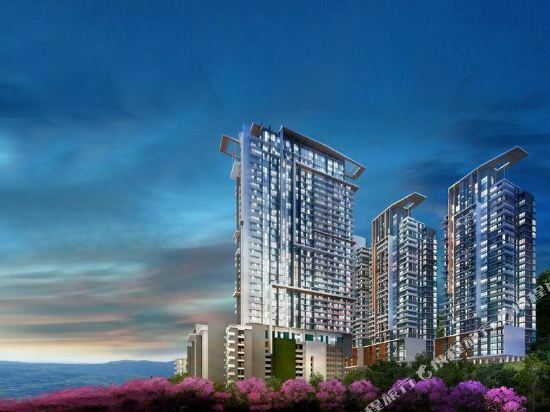 Hotel require 1hour 45minutes drive away from Kuala Lumpur International Airport. Hotel offers variety of services and facilities to ensure guest have a pleasant stay. Services and facilities includes 24-hour reception service, taxi booking, Duty Manager and et cetera. Besides that, hotel do offer complimentary scheduled Transfer to First World Plaza as well as free minibar in every room. With its strategic location and convenient accessibility, it made Grand Ion Delemen Hotel Genting Highlands an ideal place of stay for business and leisure travelers in Genting highlands area. Sompoton Spa is officially open and located in Level 9, Tower 1 of our hotel; operation hours are from 11.00am to 11.00pm daily. Quirky, fun with a personality. An apt way to describe Theme Park Hotel and the travellers you’ll find here. With rooms that accommodate up to 6 people, Theme Park Hotel is ideal for group travelling. And why not? When there’s so much to see and do – from concerts at the Arena of Stars to endless shopping at SkyAvenue - having the more, is definitely the merrier. Go green in your next getaway by getting up close and personal with Mother Nature at the mid-hill Resorts World Awana. Surrounded by lush greenery, you’ll not only wake up to the freshest morning air, but also a majestic view of the mountain range. Take a swing at the 18-hole golf course, or trek through the rainforest under the guidance of our forest experts to get a glimpse of some spectacularly rare flora and fauna. As part of the highlands, the hotel is conveniently a two-minute drive from Genting Highlands Premium Outlets, a retail haven carrying exclusive brands at up to 65% discounts. 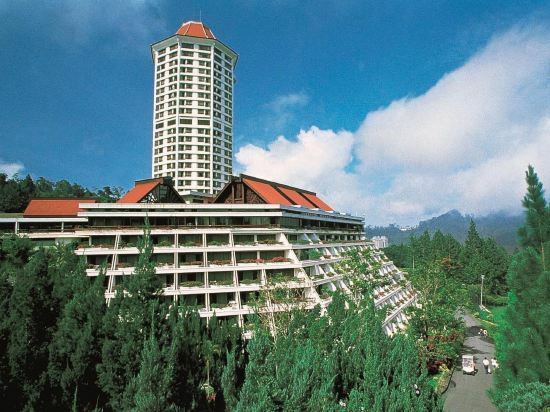 Opened in 2000, the First World Hotel is situated in the hustle and bustle of the Genting entertainment center, 51 kilometers from Kuala Lumpur. With 1,286 rooms under First World Hotel Tower 3, check out the wonderful attractions right at its doorstep, including SkyAvenue, the resort’s latest lifestyle mall with a variety of retail and food and beverage outlets. A lush, tropical rainforest greets guests at the main entrance and all rooms are modern, comfortable, and practical. Rooms are all well equipped with satellite TVs, facilities and international direct dial telephones. Restaurants serve more than 80 kinds of cuisine. For business and conference options, a grand banquet hall with a 2, 500 seat capacity and conference rooms of various sizes are available. Recreational facilities include gym, SnowWorld, gaming entertainment area and SkyAvenue, the resort’s latest lifestyle mall. Maxims was voted ‘One of the Finest Properties in the World 2018’, and rightly so. Imagine. Living above the clouds with an unparalleled view of the mountains. Coupled with entrancing interiors that captivates you at every glance. Though the title speaks volumes, the reality is a marvel of its own, capable of making anyone speechless in awe. Genting Highlands is the largest tourism brand in Malaysia. The recreation facilities on the plateau are well-equipped, providing seemingly endless attractions to tourists. Genting Highlands is about 2,000 meters above sea level and its annual temperature is around 20℃. The Genting Highlands are Malaysia's largest and most famous entertainment center and summer resort. Here, the mountains overlap with green trees, lush flowers, and fresh air. In the east, Mountain Sambae can be found, while Peng Bu A Mountain can be seen in the west surrounded by winding mountainous roads. 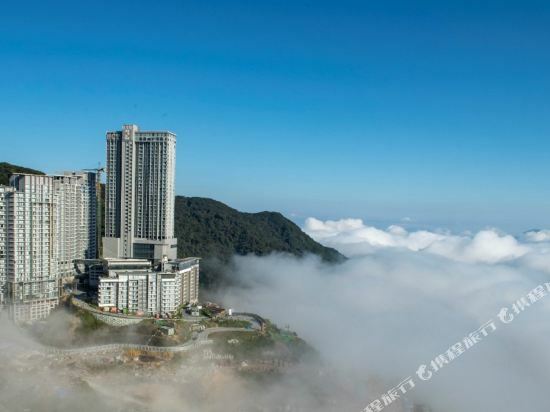 The building complexes of Genting are located 1,772 meters above sea level within the mountains, surrounded by attractions like the Penglai Pavilion. Because of the high altitude, visitors feel as if they’re surrounded by a sea of clouds when the sky is clear. At night, the bright lights of Kuala Lumpur can be seen. The construction of Genting Highlands began in 1965 and has welcoming visitors since its opening in 1971. The complex is located on Ulu Kali Mountain, where the climate is cool and the temperature is an average of 15°C. The Genting Highlands make up one of Malaysia’s most famous resorts. The location is family friendly, and there’s lots for kids to do. Hotels in Genting Highlands are often resort style and attract guests from near and far. 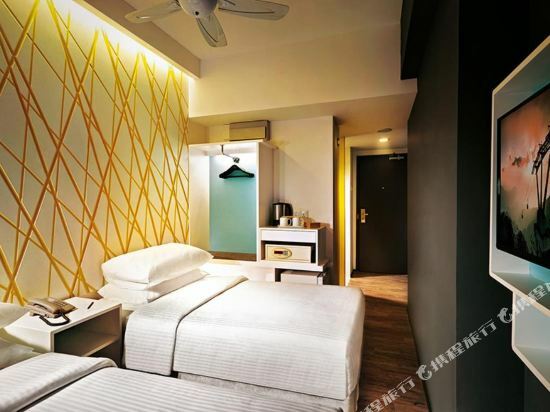 Genting Highlands hotel information & deal: Check out room rates, photos, a map and reviews of hotels in Genting Highlands and find the best deals on Genting Highlands hotels. 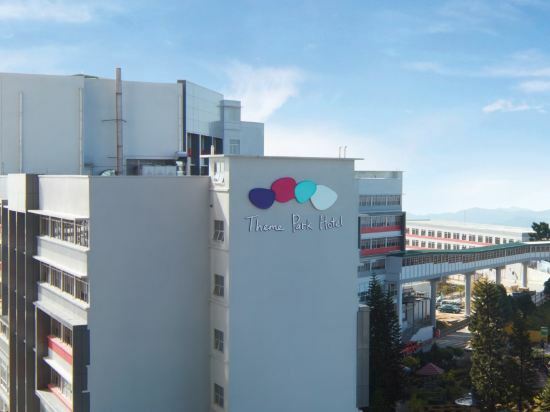 Trip.com offers big savings on online reservations for Genting Highlands accommodation. Book Genting Highlands vacation packages and Genting Highlands tours with huge discounts on Trip.com!